I recently joined up for Yoga. I had been meaning to for many years and finally took action when I found a Yoga class walking distance from home, regular sessions and at a good price! So my vision board gets another tick and I am LOVING Yoga and wishing I’d started earlier… There is nothing better than stretching your body, breathing and meditating all at once – this is definitely my kind of exercise and my kind of meditation… So when I saw a raw recipe for a Yogi drink – curious as ever – I decided to give it ago! 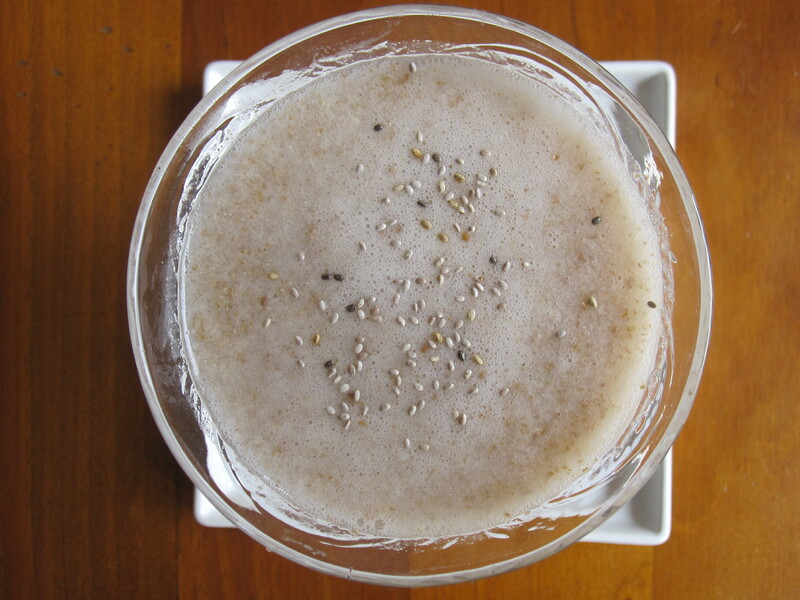 Soak the chia seeds in the coconut water for 2-3 hours (if you have time). Serve and enjoy your hydrating, amazing yogi drink.